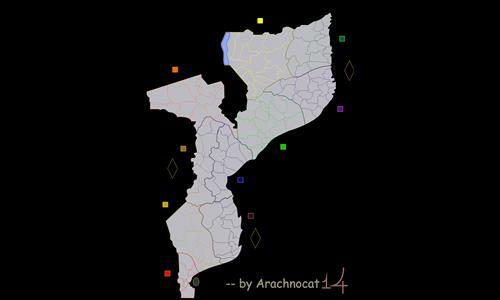 A basic Mozambique map, divided into provinces and districs. Review by Bane on 4/21/2019. Best Mozambique map yet, keep it up. Review by 𝔟𝔲𝔣𝔣𝔞𝔩𝔬 on 2/2/2018.